It is our pleasure to introduce to you Ms. Awa Thiam, Founder of Lifantou and 2018 Mandela Washington Fellow alumna. Lifantou is an innovative social enterprise in Senegal connecting smallholder farmers with school canteens using geospatial data and tools. Social entrepreneurs are considered essential for social progress in Africa. Often combining innovative technological solutions to address local societal challenges, these social entrepreneurs are not only creating jobs. Their businesses are transforming all facets of society — from empowering women through education to creating alternative and affordable energy products. 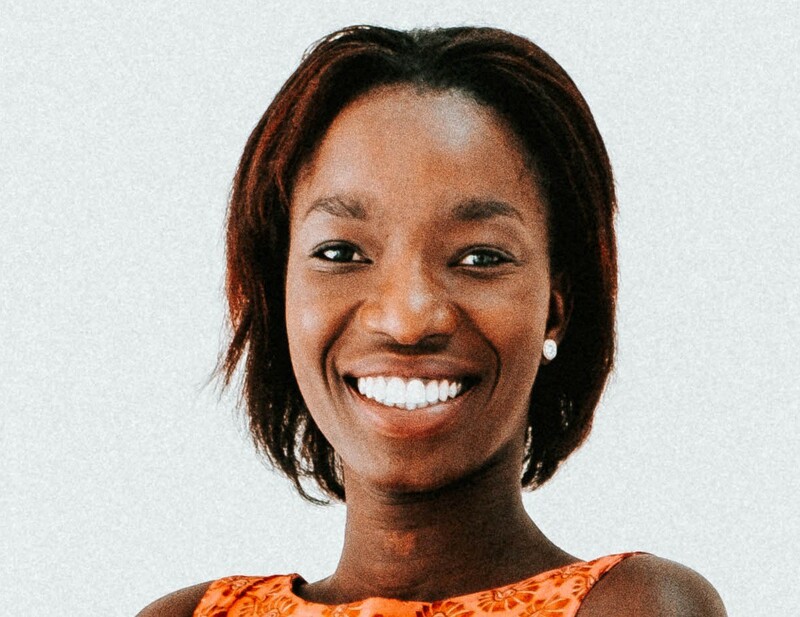 At 28 years and with a background in telecommunications, Ms. Thiam is a shining example of this African social entrepreneurial trend that uses new technologies for social change. 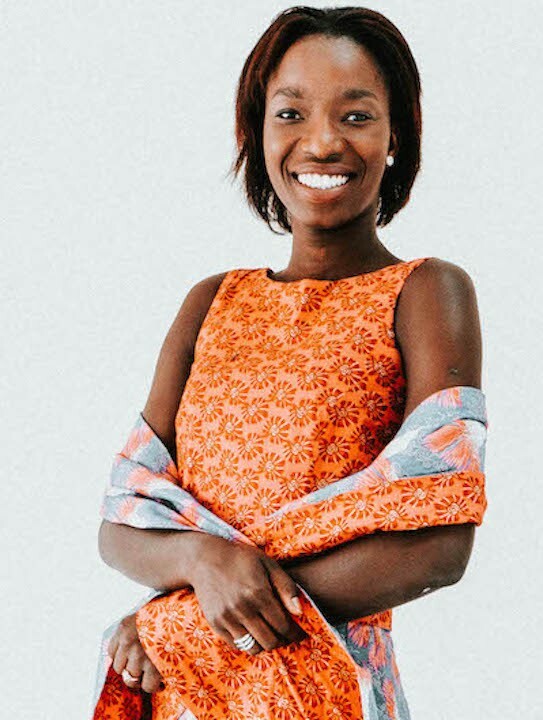 She is building Lifantou, a collaborative web platform based on a geographic information system that connects food producers and school canteens in Senegal. Lifantou’s aim is to optimize the food procurement supply chains of schools to improve access to locally-produced agricultural goods. This will lower costs to schools and create an expanded market for local farmers to sell their wares. The vision that guides this effort is research showing that when schools provide daily meals to children, they learn better — a win-win for Senegal’s school-age children, schools and farmers alike! In this Q&A, Ms. Thiam considers the role of geospatial technology in redesigning and optimizing the supply-chain for school feeding programs in Senegal. I am the fourth born of a family of eight that values education and solidarity. At the age of 15, I started my first social project advocating for better school conditions for children in rural areas and helping to find funds for books and scholarships. What inspired me was the stark differences between my school in Dakar, Senegal’s capital city, and that of my cousins living in the Saint-Louis region, which is mostly an agricultural area. I graduated from Institut Mines-Telecom, as part of the first group of engineering master’s class in France with a specialization in International Marketing and Strategy. I used this opportunity to sketch out the central plans to help children in Senegal, leading to the Lifantou project in 2016. Since then, international groups such as the Young African Leadership Initiative by the U.S. government, the Women In Africa Initiative, and the Agri Startup Summit in France, have recognized Lifantou for its vision, which also led to a Fellowship opportunity with the Radiant Earth Foundation during the summer of 2018. I became a Tony Elumelu Foundation (TEF) Entrepreneur in March 2019. TEF is the “largest African Philanthropy Initiative” that supports entrepreneurs focusing on innovative solutions across Africa. I believe that new technologies have to be used to solve social issues and to build better living conditions for people. What inspired you to start Lifantou? What value does Lifantou add to society in Senegal? During a humanitarian mission to Nicaragua, I learned about the government-run school-feeding systems to address malnutrition. That program aims to feed each child at school through community participation and the provision of school meals. In Senegal, 43% of the population is under 15 years and almost half of the country experiences hunger. Feeding children at school is essential to ensure healthy development. However, Senegal currently lacks a program facilitating access between schools and local food producers. With Lifantou, I am building a similar system by using new technologies. Lifantou wants to help reduce hunger and increase literacy rates among children by linking farmers and schools. Our mission is to help schools provide one meal at a minimum for each child every day by lowering the cost of school meals through broader market access and competitive pricing. When food is provided at schools, attendance increases. It is our hope that through our efforts to address malnutrition, students will be more engaged at school, and that this will contribute to increased literacy rates and greater attendance. Lifantou isn’t only working to increase food security, but also to strengthen the chances for every child’s educational success. Smallholder farmers comprise about 70% of the population in Senegal and often lack essential tools that can support production and optimum market delivery channels. Subsequently, they remain poor and continue to struggle to get their products in the hands of customers. The Lifantou platform, now available to host schools and farmers, provides a solution through directly linking, for the first time, farmers and schools. Now, schools can depend on a stable supply of diverse and nutritious foods for students. We want to create a new agricultural economic model where the benefits are transparent to all the participants. Lifantou will help farmers understand the market’s dynamics by allowing each farmer to manage his stock and to diversify and adapt productions with demand. How have geospatial data helped you in implementing Lifantou? What are the challenges involved for you in employing remotely sensed data in your work? Our solution is based on a geographic information system (GIS) that links the supply of food (farmers) with demand from customers (schools). We use GIS to visualize and understand data about food production — crops planted, farm locations, crop prices and expected harvest dates — and data about schools — localizations, infrastructures and existing programs for feeding children. We also use geospatial tools to map each producer and school, which helps display relationships within the community we are serving. Lifantou uses Earth imagery and remote sensing from the Radiant Earth platform to analyze geographical data, including land and water use, weather and climate data and soil capacities. This enables us to better support to each farmer and each school. The Lifantou solution can be easily replicated in countries facing similar challenges in agriculture and childhood nutrition. In the long term, we aim to compare satellite images and ground truth data to develop training data sets for machine learning. Machine learning will help Lifantou implement in every recognized territory as we scale. I was very fortunate to have been a Technical Fellow with Radiant Earth Foundation during the summer of 2018. They have introduced me to their technology and their capacity development support have helped nurtured the vision for Lifantou. How do you see the role of the private sector in Africa to support development? What is needed to promote social entrepreneurship? According to UNDP, Africa’s youth population — defined as aged 15–24 — is projected to double by 2055. 60% of Africans are under the age of 25. While this cohort has a great desire to enter the labor market, 55% of young people are either underemployed or unemployed. The absence of entrepreneurial initiatives in Africa, home to more than 1.3 billion people, contributes to the gap between the labor supply and job supply. To avoid a disaster, the development of the private sector is a must in all areas and industries, from agriculture, energy and even new technologies. The challenge is to find a sustainable business model based on verified data. Without knowing the market’s dynamics, a population’s buying power, food production or digital behavior, startups will find it challenging to scale operations. Startups will have to develop a lean methodology to build services, learn and measure impact. Open data can help entrepreneurs to exchange information, compare their analysis and results, and to define quantifiable measures to report on their impact. As a woman in a male-dominated field, what advice will you give young girls in Senegal who wants to make a difference? African history in general, and Senegalese history in particular, spotlight women: We have had Queens such as Amina of Zaria (1533–1610). Queen Amina presided over the old city-state Zazzau, now known as the Northwest region of Nigeria. We have had woman generals such as the formidable Candace Amanirenas who ruled the city of Meroe (actual Sudan) from c. 284 BCE to c. 314 CE. More recently, we had inspiring women such as Awa Marie Colle Seck, the former Department Head of UN AIDS and the Minister of Health of Senegal (2004–2012) who helped to expand health services in the country. Each woman and girl has to keep those personalities in mind and know that they too have a right to “sit at the table.” A belief in self, working hard and supporting each other is also essential to make sure that women as a group move forward.